It has always been our aim to meet the increased demands of consumers with particularly healthy products. Ginger production has increased significantly in many parts of the world. Due to the pressure of mass production, quality often falls short of our expectations. Most European countries don’t produce ginger because of unfavorable weather conditions. 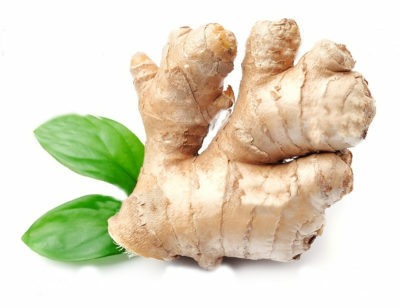 Today, ginger is mainly cultivated in tropical areas like India, China, Australia and Jamaica. Sunlight, water, air and soil are the natural parents of a plant world providing us with important nutrients. When we treat nature in a respectful way, it rewards us with almost inexhaustible productivity, purity and richness. In the manufacture of our organic products, this is our guiding principle and philosophy. The EU Organic logo guarantees that our plants are sustainably and organically cultivated. are retained in high concentration. These valuable components get lost, for example, in classic tea preparation (boiling ginger in water). This makes Lemon Pharma ginger drops GINJER® forte, obtained by CO2 high-pressure extraction, the only certified organic ginger drops on the health market. Lemon Pharma’s high quality standards in production become particularly evident in the comparison of GINJER® drops with other products. The following table compares GINJER® drops to similar ginger products by other suppliers on the market. Lemon Pharma’s product development is based on the therapeutic concepts of natural medicine. To this end, we work together closely with pharmacists and practitioners of natural health and alternative medicines, prudently managing preparatory processes to guarantee the optimal preservation of the ingredients’ healing properties – for example in the form of chewing gum. All the materials and substances we use are carefully selected and subjected to strict quality control criteria. For our GINJER® products we only use ginger from selected farms in India and strictly observe certification requirements in order to supply products of the highest quality. We attach great importance to quality and reliability, which is why we only cooperate with certified companies and responsible partners at home and abroad. In order to guarantee the highest standards, Lemon Pharma adheres to strict certification regulations by the European inspection bodies for organic farming and production. Do you have any further questions about our products and the effects of ginger? We have summarized the most frequently asked questions and answered them for you. Lemon Pharma offers ginger products in a wide variety: drops, pastilles, dragees, chewing gum and cubes. Discover this new world of flavors. GINJER® ginger cubes exert the well-known beneficial effects of ginger in the mouth and the subsequent digestion process.